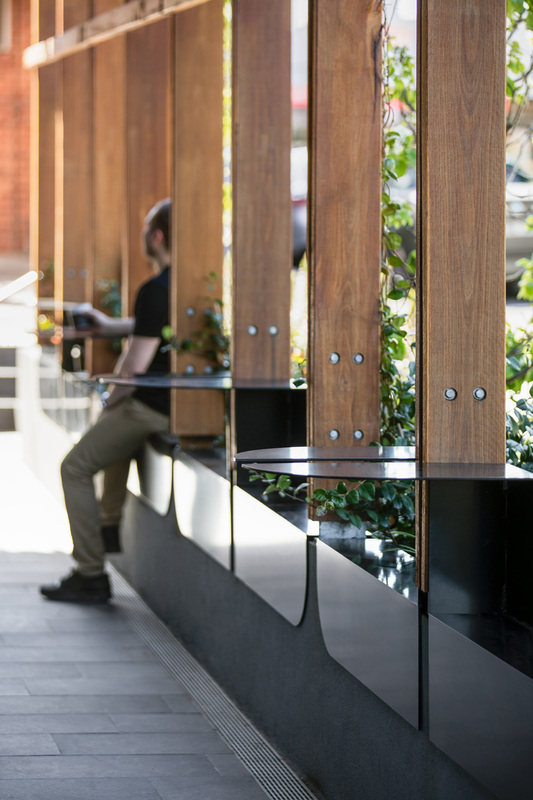 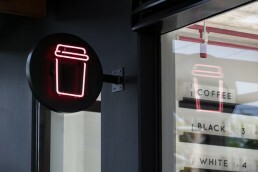 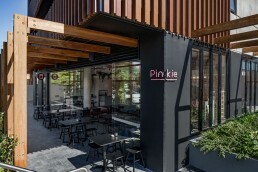 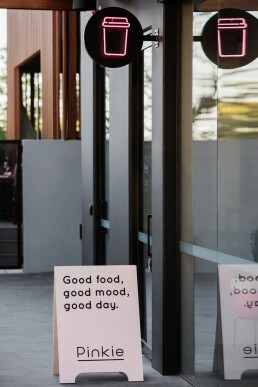 Located in Ivanhoe, Melbourne, Pinkie is a refreshing new café that promises a fun, friendly and modern experience. 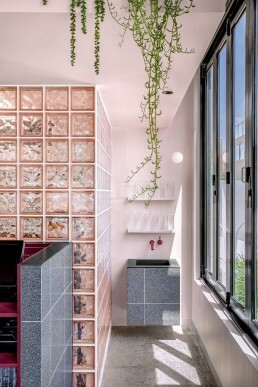 Our approach began with colour and material selection, it was the perfect opportunity to feature our rose-pink glass blocks. 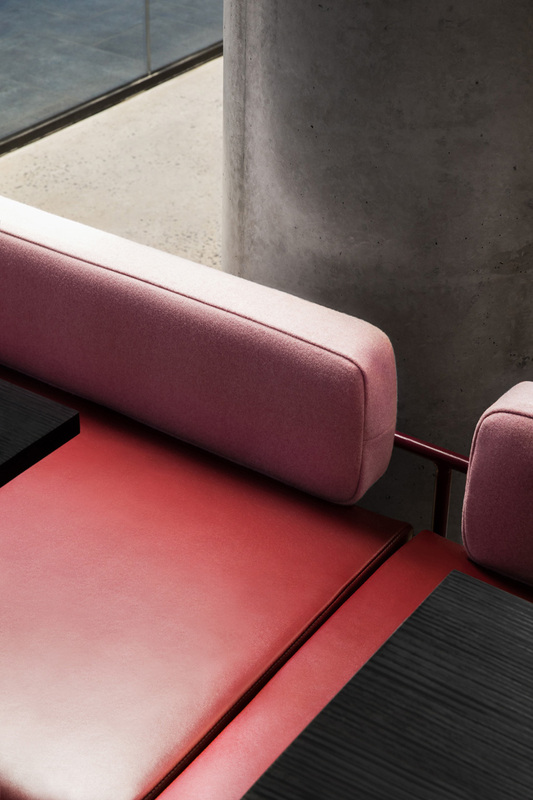 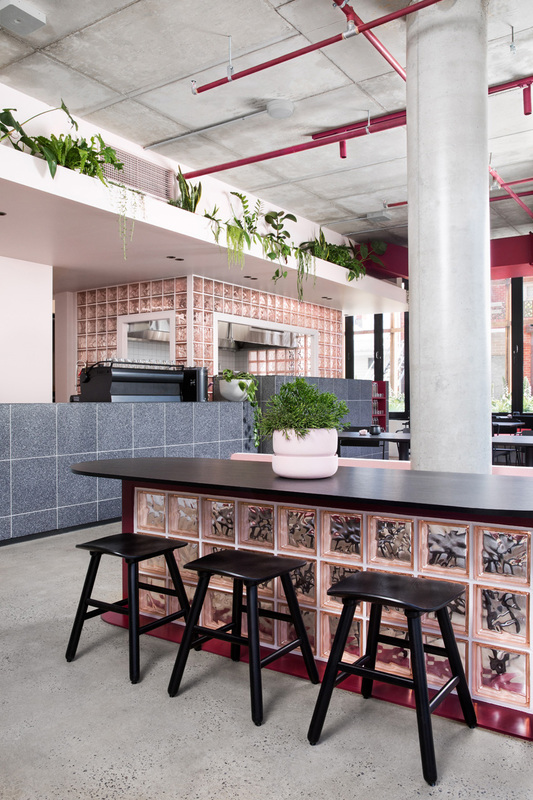 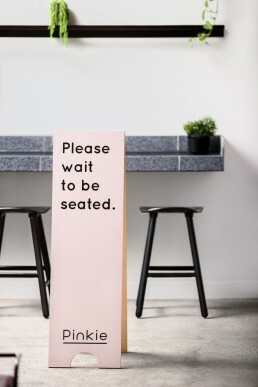 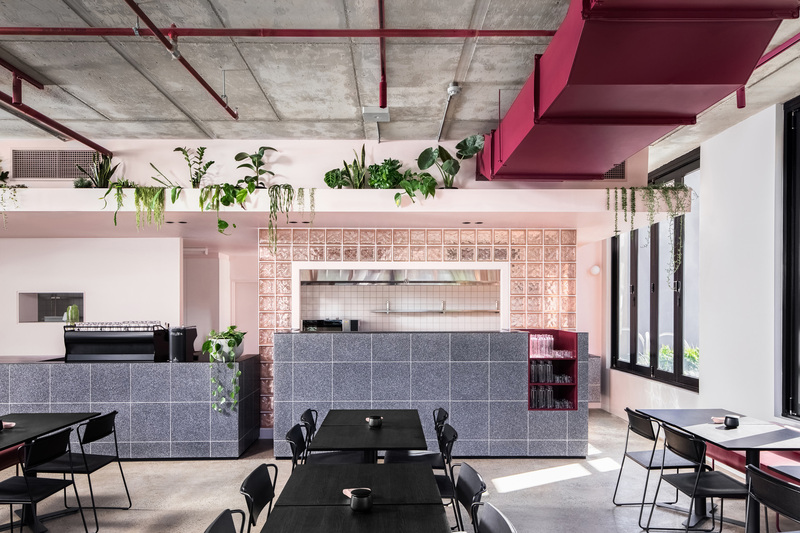 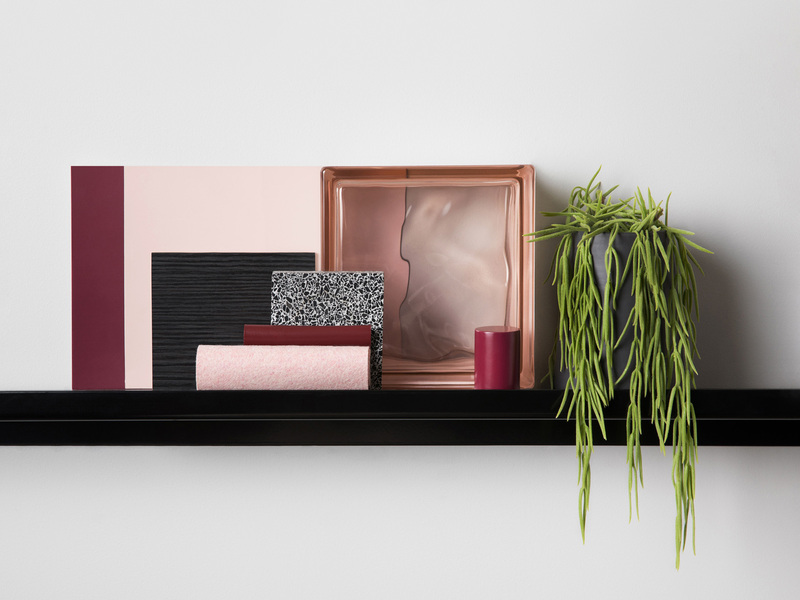 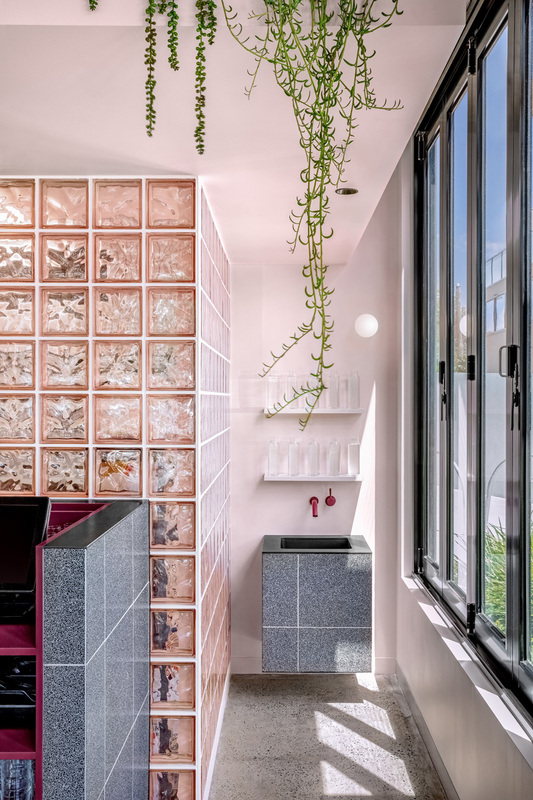 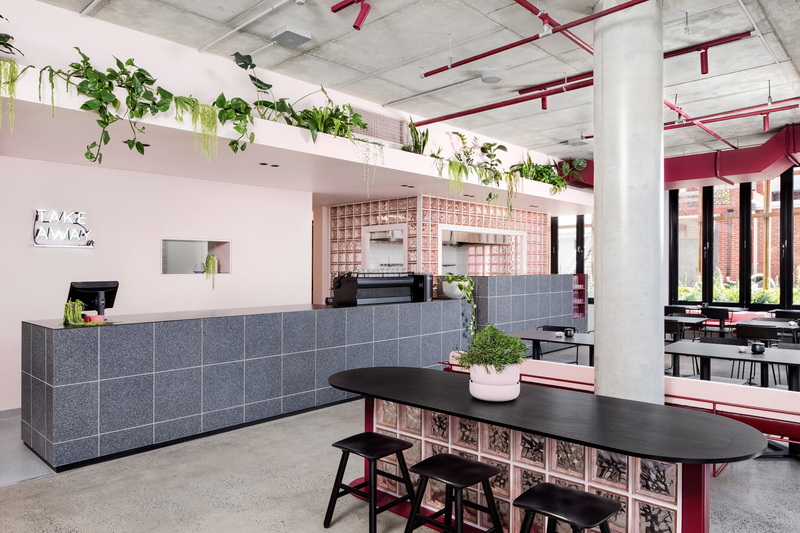 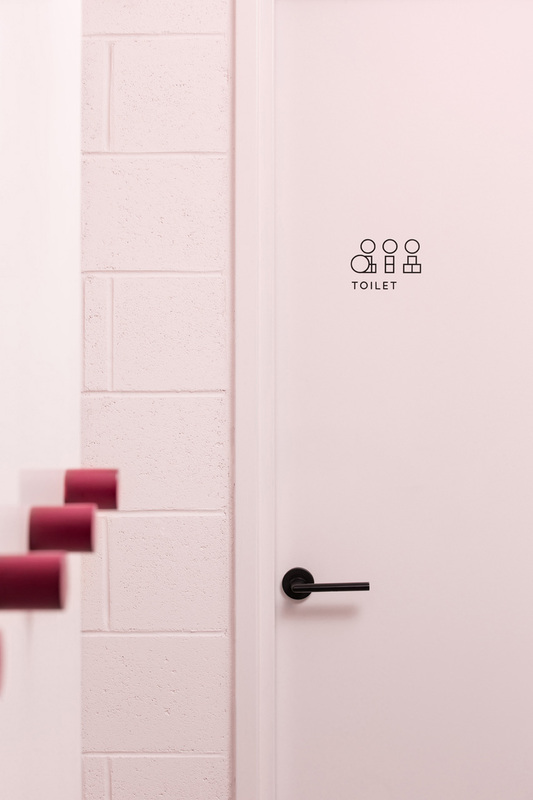 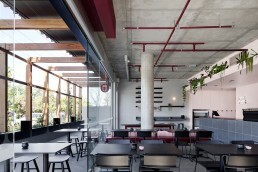 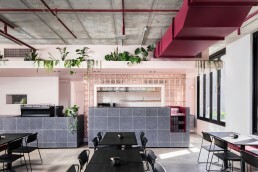 We paired pink tones with black terrazzo and the existing concrete infrastructure to create a colour and material palette evocative of postmodernist design. 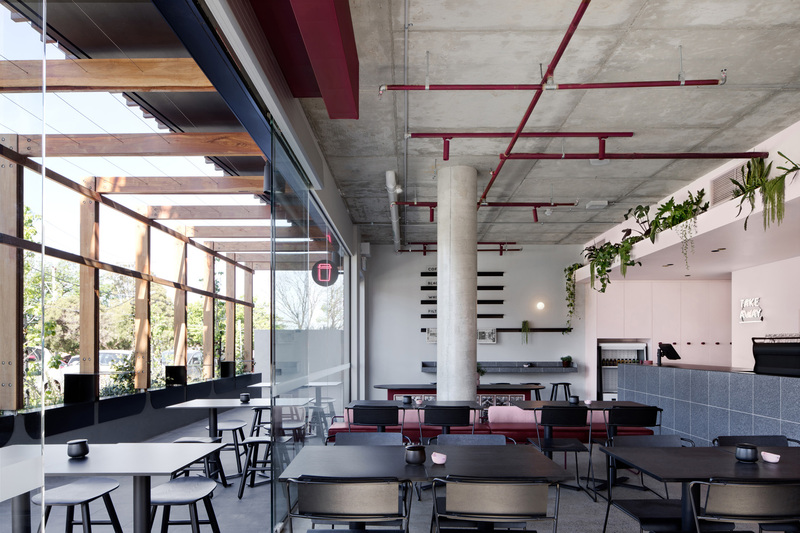 For ease and efficiency, the layout maximises functionality clearly differentiating takeaway and dining areas. 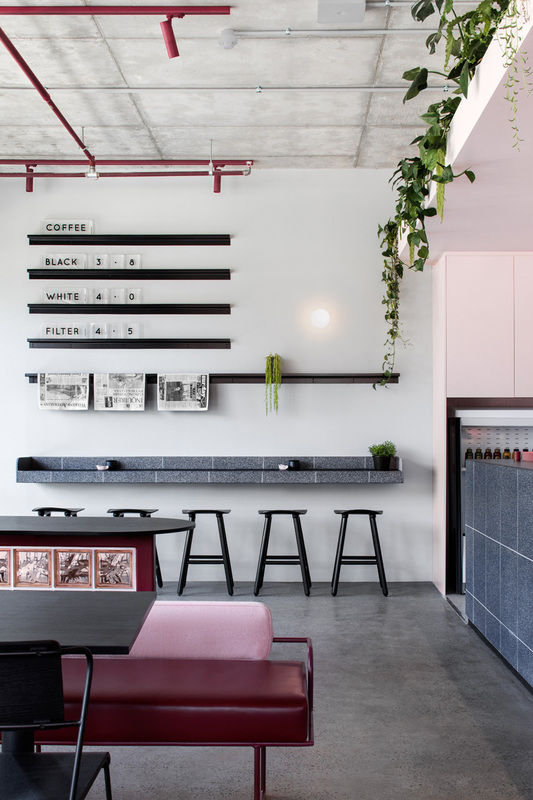 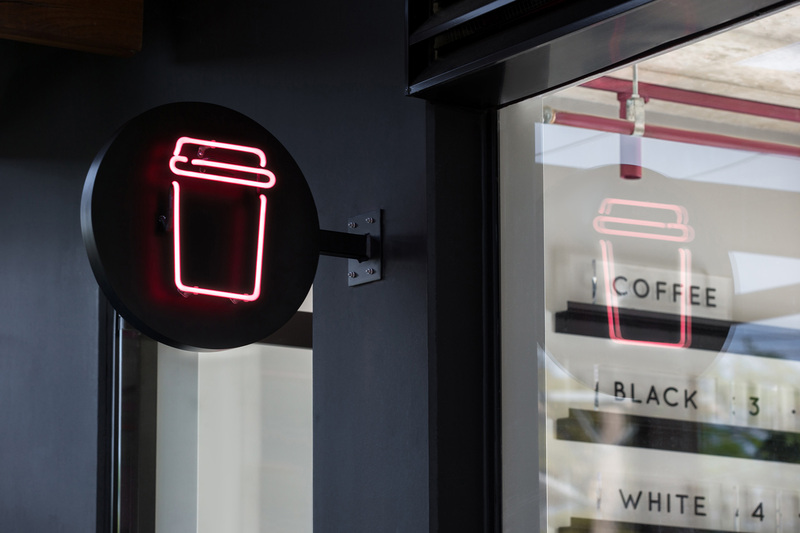 Branding is integrated into the café design, reflecting the fun and friendly attitude of Pinkie and its welcoming aesthetic.